Funded by the Ridgestone Foundation, Pittsburgh Children's Foundation, Ruth & Charles Hopping, The Samburu Project drilled and installed a shallow well equipped with a handpump in this community. As we were walking towards this well, Juma informed me that this well was drilled to service the children in the community, in particular the students at WAMBA DEB Primary School. During the drought season, even people from town (to be distinguished from community members from nearby villages) come to this well to get water since water is very scarce in town and is rationed. After a few minutes of arriving at the well, a group of young children joined us. Though none of them were old enough to answer any of our questions, it was worthwhile just to see their joy in being able to pump clean water and to see them quenching their thirst. I could see that this well has no problems (Paul and Juma confirmed this) and that it requires very little force on the part of the children to pump the water up – from where I stood it looked like the kids were having fun pumping the hand pump up and down and were vying for their turn to pump. how to maintain records of cash collected. They will be required to run a bank account where weekly collections are deposited. - Worn rubber was fixed. 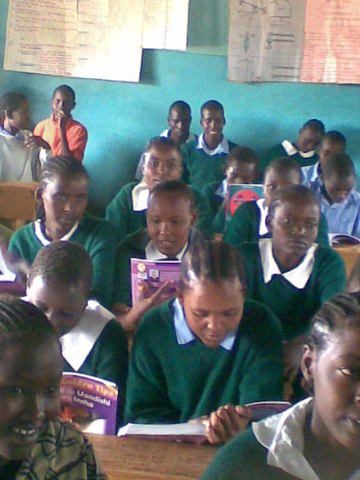 - Well ownership was discussed due to high competition between the school and communities living in the vicinity. - The community was given full responsibility to manage the well because of constant breakages by the schoolchildren. -Well not functioning because the rubbers are worn out (replaced on 2.28.11). - 669 students access the well. - The water is used for drinking and to wash clothes. 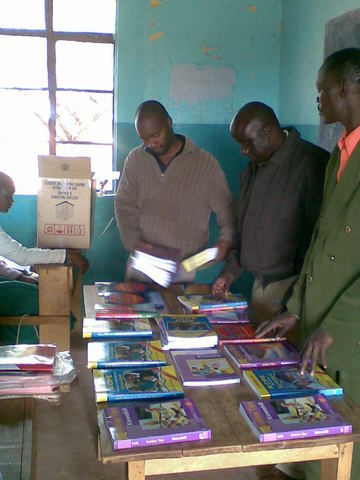 Thanks to the contributions from the Falkenberg family, The Samburu Project was able to purchase books for the students in eighth grade.Both the teachers and the students of Wamba D.E.B Primary School were very grateful for the assistance and the students promised to work exceptionally hard. 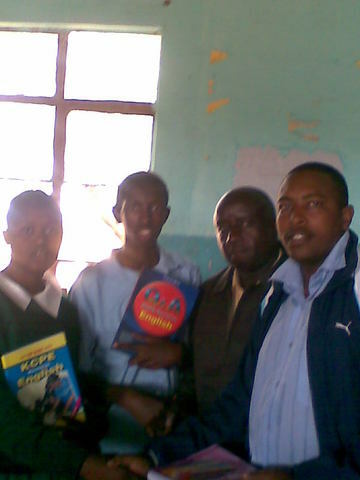 They assured Lucas that because of these supplementary textbooks they will pass their forthcoming exams due on November 2008. The main objective of the project is to provide clean, safe drinking water for the school.